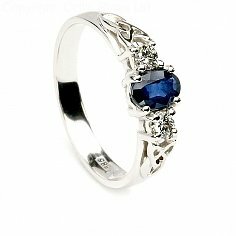 For those who love the rich blue of sapphires and a Celtic setting, this 14k yellow and white gold ring is the perfect choice, making it one of our most popular designs. 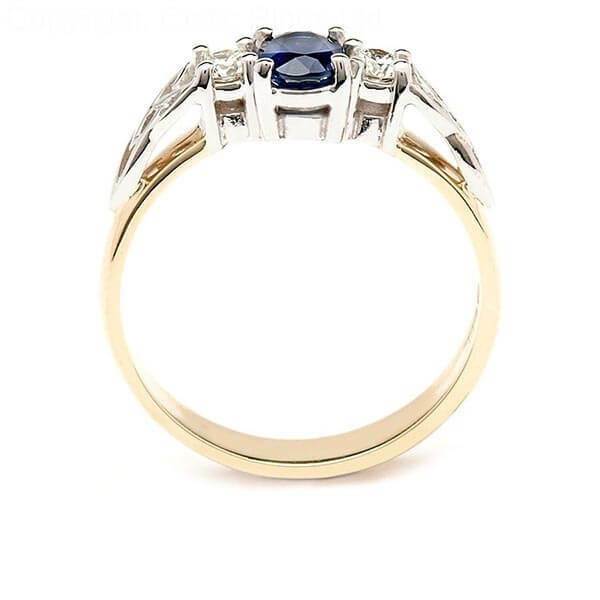 The 0.50 carat sapphire has a sparkling white diamond on either side and all three stones are securely mounted in a Trinity knot shoulder design with a claw setting for the sapphire. 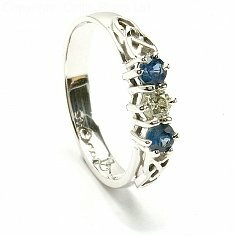 Your ring will be hallmarked for quality by the Dublin Assays Office.